Join the Ultra X team for a 2 day adventure on the beautiful Wales coastal path! Starting from the festival site on day 1, you'll conquer half of a giant loop of the Gower Peninsular, taking in Three Cliffs Bay and the famous Worm's Head. 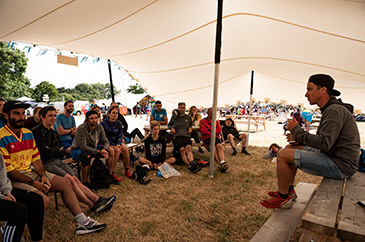 A transfer bus whisks you back to the festival site at the end of an incredible day of running, adventure & exploring some of the best coastal trails the UK has to offer. Day 2 starts with a quick bus transfer, dropping you off on the trail at the exact spot where you finished up yesterday. From there, it's an epic 22(ish)km run back to the festival site. A midway stop at 'Blue Pool Corner', a natural tidal pool, is the perfect excuse for a refreshing mid-run wild swim. 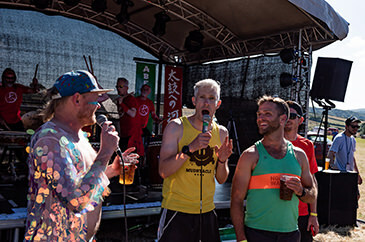 Arrive back at the Love Trails Festival site a hero having completed your first multi-stage ultra with an excuse to enjoy the evening's entertainment, live music & parties.